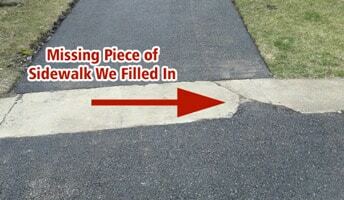 We ripped out the old driveway paving asphalt. Then applied 2a modified stone sub base. 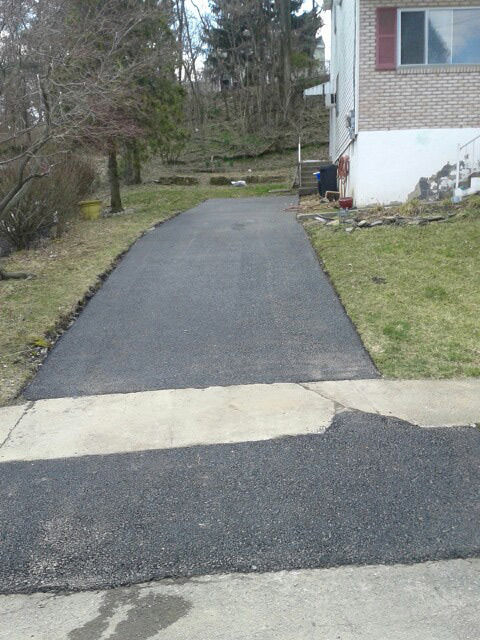 Then installed 3 inches of the ID2 top asphalt driveway. In the bottom picture, you can see how part of the sidewalk was missing and we filled in the missing chunk of concrete with asphalt. We saved the homeowner time and money by them not needing to call another contractor to fill in the missing section of concrete or the hassle of them doing that small section of concrete themselves. Although pavement maintenance agendas from property to property, the general purpose of asphalt maintenance is to sustain its charm and extend its life. Some paving maintenance tasks are often managed on your own or by appointed employees, like inspections and trash clearance; whereas others are best left in the hands of trained and equipped professionals. 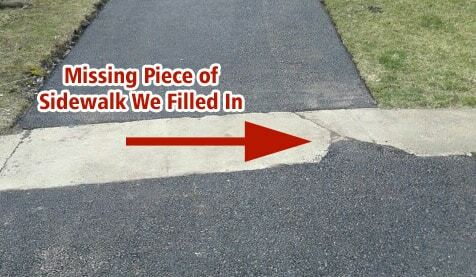 a perfect pavement maintenance should embrace basic tasks like regular assessments, sweeping, crack filling, pothole repair, periodic line marking, and most significantly, seal coating. while not a correct sealcoat, asphalt pavements can expertise heightened wear and tear from traffic, weather, chemicals, salts, and more, that shortens their life and diminishes their aesthetic worth.